No other retread is a Michelin. That’s why STTC relies exclusively on Michelin Retread Technologies (MRT) and Oliver Rubber for our entire truck tire retreading process. Michelin truck tire retreads are built with computer-controlled Michelin precision, to Michelin’s high standards, using Michelin new-tire rubber compounds and tread designs. Every STTC retread is a certified and warrantied by STTC, and backed by today’s most advanced asset management system. Click here for a virtual tour of the Michelin retreading process. Click here for current Michelin retread design options. STTC is proud to be an authorized Oliver dealer. Oliver is America’s 1st retread rubber brand with more than 100 years of experience. The Oliver retread process offers exclusive features that enhance traction and durability and deliver consistent results you can count on. Click here for a virtual tour of the Oliver Retreading process. Click here for current Oliver retread design options. A unique grazing light technique is used from shoulder to bead to detect subtle irregularities that might indicate potential problem areas. Powerful electronic currents pinpoint otherwise invisible defects. Suspected steel damage, identified during grazing light inspection, is examined by fluoroscopic x-ray. This advanced x-ray system reveals the status of the steel belts and cables hidden within the casing. A computer-controlled radial buffing system is used to ensure optimal undertread depth. Precise buffing is critical to retread performance as a correct undertread contour promotes long, even treadware. The MRT laser-light Casing Integrity Analyzer uses laser beams to map the inner contour of the casing, spotting any hidden separations. Any necessary repairs are completed via heat curing, ensuring optimal adhesion and improved tear resistance. A heat cured repair will last longer than chemical repairs used by other processes. MRT Builder Balance Improvement is used to index tread and cushion joints, guaranteeing a better, smoother ride with less irregular wear. Hot cushion gum is extruded onto the tire casing, creating a strong tread-to-casing bond. Our computer-controlled Tread Builder ensures correct tread positioning. Pre-Mold retreads are double-vacuum-enveloped, creating uniform mechanical pressure that promotes full integration of repairs. Pre-Mold retreads are cured to Michelin protocols for time, temperature, and pressure. No retread leaves the STTC plant without undergoing a comprehensive final inspection, ensuring that all finished retreads adhere to Michelin’s stringent quality standards. The only way you can be assured of the quality of the retread tires delivered to your fleet is by working with a qualified retreading firm like STTC and discussing their tire analysis and testing work with them. Come find out more about our process by contacting us for a plant tour. We are certain you will be impressed by our facilities. STTC also employes a casing asset management program that will define the specifications acceptable for capping your tires; such as how many times it has been capped, the age, and how many repairs are necessary. Using barcodes, your casings are tracked from their pickup to their return with STTC’s BIB TREAD™ software system. Casing barcodes are continually scanned throughout the entire retread and repair process, which means that all casing information (retread specifications, etc.) is displayed at each step in the process. This comprehensive management allows STTC to ensure rigorous adherence to fleet-defined business rules, including specs according to manufacturer, size, and tread design. An STTC Michelin retread bearing the following DOT: KAY, EBR, EKA, or YLT will be covered by this warranty. Defects in Workmanship & Material Life of the Tread Warranty If above described tire, upon presentation to STTC, is determined to have become unserviceable due to a defect in our workmanship or material involved in the actual retreading of the tire, STTC will either retread the tire or issue a credit on a pro-rata wear basis. The replacement price will be based on the customer’s buying price. This warranty will remain valid until a remaining tread depth of 4/32 of an inch or a period of two years from the purchase of the retread as dated on the retread DOT number. Established in the U.S. in 1998, Michelin Retread Technologies Inc. (MRT) brings the rigor of Michelin new tire innovation and manufacturing to both the process and product of retreading in North America. The network of MRT franchisees operates 77 retread plants in North America, which follow a consistent, rigorous, and highly audited nine-step manufacturing process to deliver uniform results across tires and retread plants. The MRT retreading plants use the most advanced technology available to examine 100% of the casings before retreading. Two patented retreading processes – Pre-Mold™ and Custom Mold™ – use Michelin’s new-tire design technology, allowing North American fleets to maximize the life of their tire assets. MICHELIN® retreads may be found in over 700 points of sale in the U.S. For more information on Michelin Retread Technologies or MICHELIN retreads, visit www.michelintruck.com. A retread tire costs on average 0.001 cents per mile compared with a new tire that costs on average 0.0023 cents per mile over its lifetime. Retread tires offer superior fuel-efficiency compared with lower quality foreign made new tires. The retread tire costs about $150 to $200 less per tire than the average new tire, helping growing fleets reduce their capital investments significantly. Commercial fleet operators must continually review the bottom line to ensure a full return on investment in their vehicles. Many utilize options such as tire retreading as they look to consolidate their costs further. 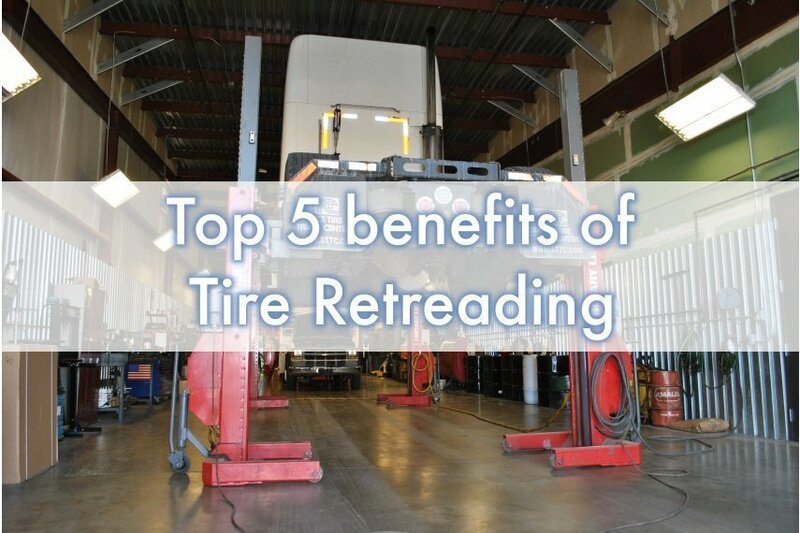 In the below, our team at STTC highlights the top five reasons to use tire retreading for your commercial fleet. Some of the reasons so many commercial fleet operators use tire retreading is because the retreads offer optimal tire wear, superior traction, and safety for the vehicle. To highlight this point, government agencies often choose retread tires for ambulances and fire trucks, which require the highest level of safety for quality performance. Multiple studies have concluded that a properly done retread does not compromise safety or tire longevity. The most expensive part of the tire is the casing, which is why it’s important to preserve the life of the casing even if retreading the rubber on the exterior. Rather than having to replace the entire tire when the rubber diminishes, companies use the retreading process and achieve like-new performance. Because tires represent the largest part of the average maintenance budget for fleet operators, retreading can lead to significant profit enhancement. Many fleet operators are now turning to green initiatives to showcase their company’s commitment to the local environment. Tire retreading is an important part of this process. The process of tire retreading uses 14 fewer gallons of oil per tire than required to manufacture a new tire product. 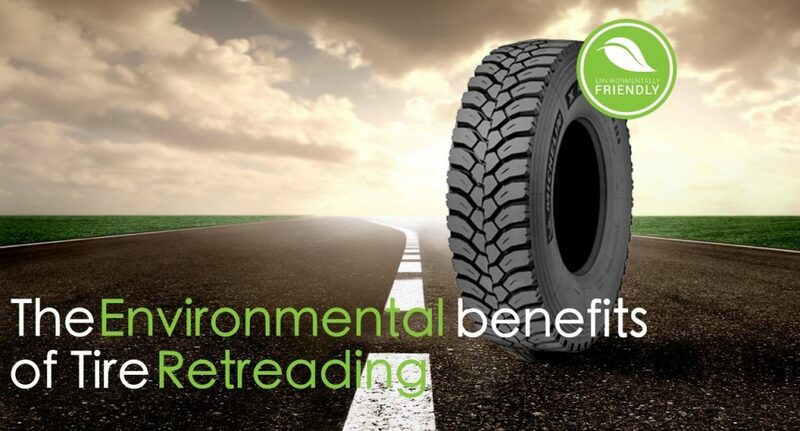 Carbon emissions and material use are also reduced when committing to tire retreading processes. Additionally, a tire that is retreaded is one less that needs to be disposed of. This means companies can help improve the environment while reducing their in-house costs significantly. You can find retread tires for all types of fleet vehicles and operations such as long-haul, regional, urban, and severe applications. The Michelin Retread tread designs offer a full range of options from which to select, so you can find the ideal option that provides safety and vehicle performance for the long-term. In running your fleet, it’s critical to meet ongoing environmental targets and capitalize on the available financial incentives. Our team at STTC has worked with fleet operators across the northeast to guide them on the environmental advantages of tire retreading. And within our latest post, we’re exploring these benefits and explaining their value to your business. 21 gallons of oil are used to produce one new tire while only 7 gallons of oil are used to produce each retread tire. This means that 14 gallons of oil are saved each time a company chooses a retread tire over the equivalent new tire option. The number of tires now in landfills is now at over 800 million and re-using tires before they become scrap products will help to reduce the landfill impact by a factor of three to four. Tire retreading is mature and growing industry, both in the United States and across the globe. The studies show that 13 million tires are retreaded annually, ensuring that their materials remain out of the local landfills and are used more effectively to help companies support their environmental initiatives.